The Holy Spirit IS God, together with the Father and the Son. And He is here on earth—moving in and through the people of God. He expresses Himself in many different ways and works in and through the people of God, enabling them to accomplish many different things. 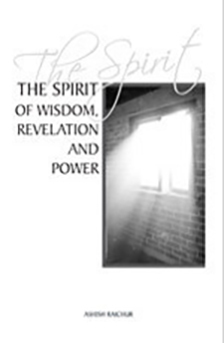 In this book, our purpose is to acquaint you with the aspects of wisdom, revelation and power of the Spirit of God. The Spirit of God desires to work in and through each believer, to help each one of us become all that God intends and accomplish all that God has planned. However, He can and will work only to the degree we allow Him to. Our encouragement to you is that you will desire and allow the Spirit of God to be the Spirit of wisdom, revelation and power in and through you. That the world may know that Jesus Christ is Lord of all!